The quality of service, furnishing, linens, location, beautiful view, basically everything was more than excellent! Incredible value and super helpful staff (thanks Claire for arranging the car and an extra night:). Fresh towels daily. Studio with all necessary kitchen equipment and romantic balcony overlooking the beautiful Aegiali bay. AMAZING! Search no further, this is the best accommodation I've booked on Amorgos over multiple trips. Highly recommended. Decent hotel, close to the Aegiali beach. Nice host. 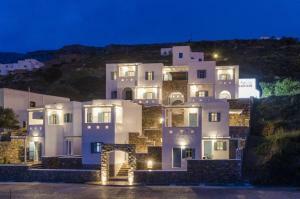 The studios are really close to one of the best beaches of Amorgos and also close to different villages to visit. This makes the location really good. The view from the balcony is great: view of the beach, sea and sun in the late afternoon. The bathroom was recently renovated: new and big enough. These studios had beautiful 180 degree views of Aegiali from the balconies. The rooms were modern and well equiped with most comfortable bed ever! Aris, picked us up at the port and was a helpful and friendly host the whole stay. We were very impressed by these studios. 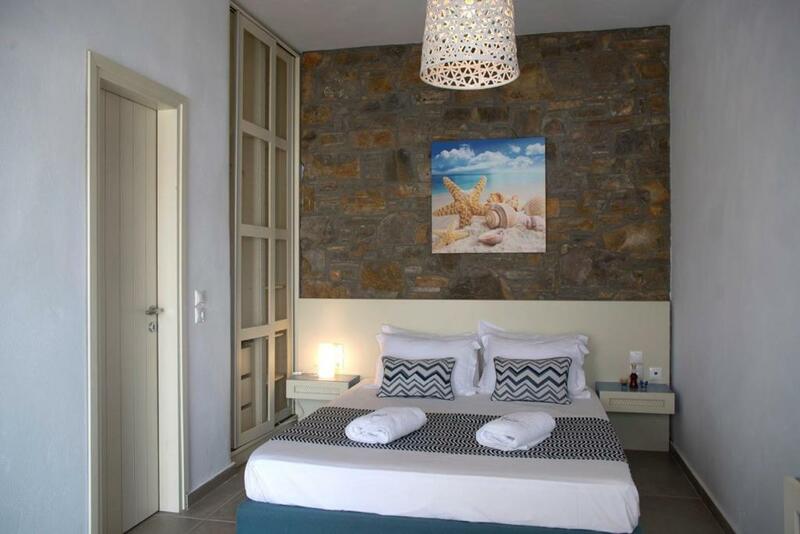 Great location, lovely staff, large clean room with comfy bed and great sea view. Excellent value. A very nice place to stay. Well located. Nice view, very very clean, the staff is nice and helpful, especially at the reception. We appreciated the reception at 3 am and the arrangement from transfert from the harbour. The rate quality/price is very good considering all things above. Very comfy beds and nice balcony with ocean view (room 43). Lovely staff, every day clean towels and room/beding. Very happy with the anti mosquito screen in front of every window and the doors to the balcony. We could sleep with the doors open this way, hearing the waves of the sea. last minute reservation.... Literally ! (Last hour actually) We had a very friendly answer right away and thus stopped worrying about the night. The girl was extremely friendly and was there when the ship arrived in the night on the island, and our short stay was actually beyond our expectations! The appartment was big with a really nice view, the staff was very kind and attentive. They cleaned and changed you towels every day which was a plus! As it was so close to the town and port it was easy to move around at night. Location is great. View is magic. Photos on internet match room exactly. Comfy bed with nice linen. Great kitchen facilities and private balcony make morning breakfast fabulous. 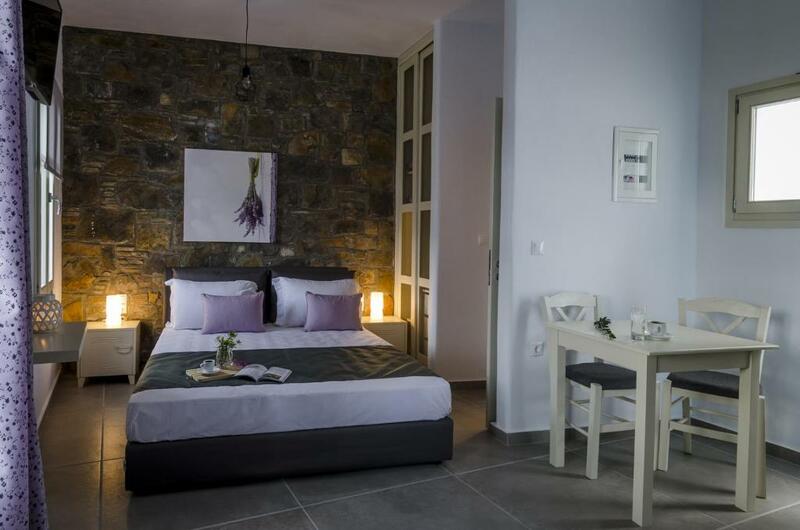 Lock in a great price for Aelia Studios – rated 9.5 by recent guests! 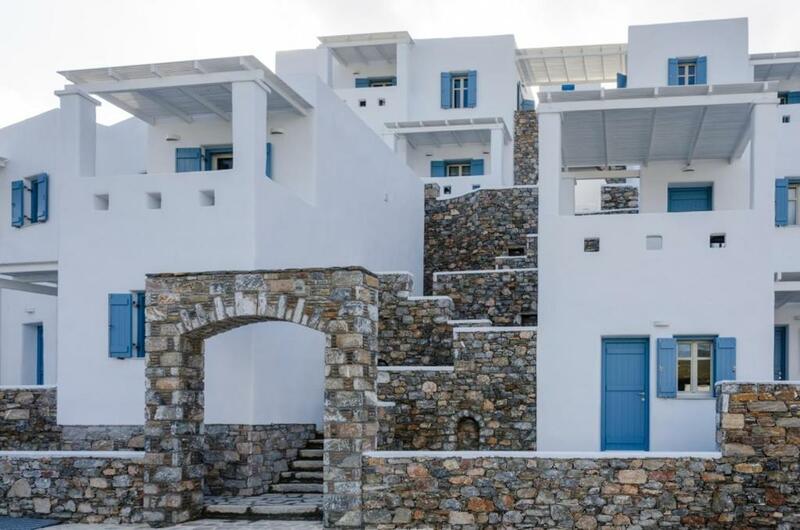 Set within a stone's throw of the scenic beach, Aelia Studios offers traditional, yet modern units in Aegiali. 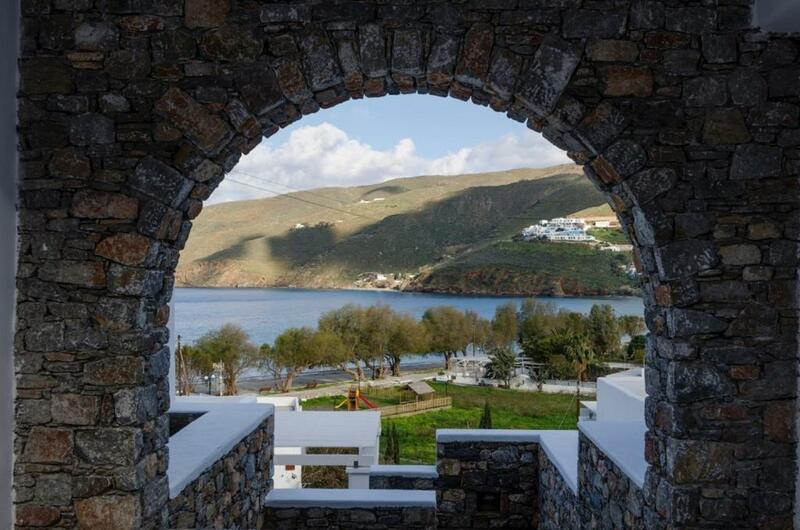 The port of Aegiali is at just 650 feet. Free WiFi is available. Each studio at Aelia opens to a terrace while some feature unobstructed Aegean Sea views. A well-equipped kitchen is available in every studio. Each includes a flat-screen TV with satellite channels. The bathrooms are stocked with a shower and offer free toiletries. The staff at Aelia Studios can assist with car rental services. When would you like to stay at Aelia Studios? This studio has a tile/marble floor, kitchenware and dining area. House Rules Aelia Studios takes special requests – add in the next step! Aelia Studios accepts these cards and reserves the right to temporarily hold an amount prior to arrival. Please inform Aelia Studios of your expected arrival time in advance. You can use the Special Requests box when booking, or contact the property directly using the contact details in your confirmation. Everything was perfect : the owner gave us all the information we needed (tips, restaurants, beach), the room is huge and perfectly clean and have a nice balcony. There is a nice kitchen where you can cook easily with a lot of equipement . The location is perfect (quiet and close to all shop). They clean the room every day ! Nothing; may be proposal in order to improve: A curtain or shield for the shower will be welcome. But it’s a detail. There were some things missing in the kitchen, like a pan or a kitchen towel. They added them only on the last day. Not enough storage space in the kitchen/lounge area. What is there is difficult to access without moving other bits n pieces. Sea view is a little squeezed between buildings. Very clean with a brand new bathroom! Nice toiletries and complementary tea/ coffee. Bed was really comfy - not Greek hard! Peaceful location but just up an alleyway from the croissant cafe! Aegiali is very pretty and unspoilt. 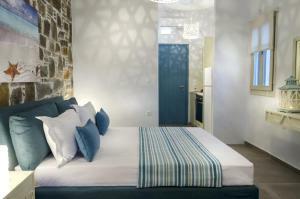 I would highly recommend it for a relaxing stay on Amorgos. We could cope with the worn-out facilities in the room itself (only the bed and the wall behind it is nice and looks like the pictures you get online). But the bathroom (nr. 13) was simply unacceptable. Every time we had to use the room, we felt extremely uncomfortable: a wet toilet seat when we arrived with short black hairs; stains everywhere (!) in the bathroom; stinky after using the shower even for a very short period of time; there was no window or ventilation system; just a small opening in the wall towards the room. The bathroom is so small you could hardly sit on the toilette. If there would have been vacancies, we would have changed the hotel, even with loosing the money (we booked -- a room -- months ahead and had already paid, so our situation was not the best). The pictures of the hotel on the website and reality do not match at all -- at least when it comes to the room we had. We booked a standard room and nothing indicated that the room was much worse than others. I checked the website of the hotel again and again, and I can hardly describe how disappointed and betrayed I feel. It was like living on another planet. 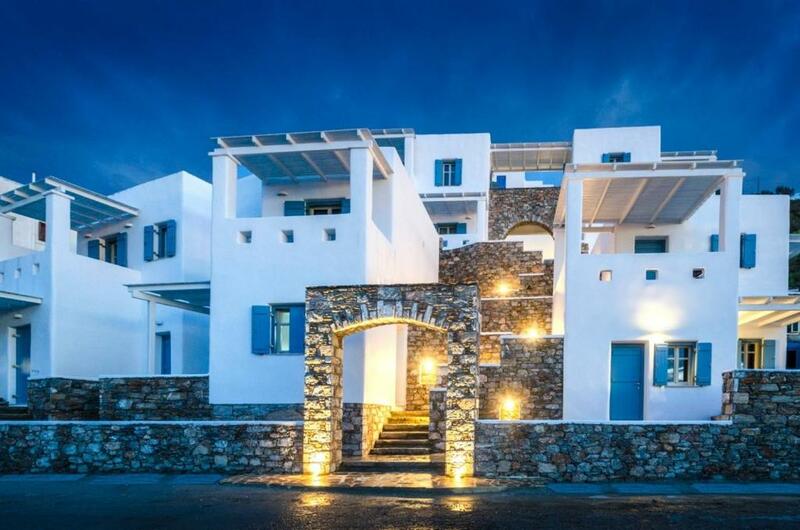 Of the 7 places we stayed on Greece this was the only one to take the full amount months before we arrived. While I accept she could, it was interesting that on arrival she was very keen to book our return transportation to the port. She did not however mention the strike on the day we were to leave, which would have meant we would have gone back to the port 40 mins away and been left high and dry. 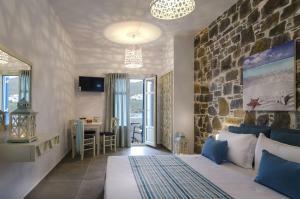 We were lucky that our next hotel on the Island Naxos wrote to advise us of the strike. We spoke to the owner and asked why she hadn't mentioned it. She shrugged her shoulders and said she knew nothing about it. However it became clear everyone on the island knew. We asked about getting a boat the day before. She would not refund the last days cost. We asked if she could think of any options. She was very happy to sell us another night. She had already told us all her rooms were fully booked. She agreed that as visitors would not arrive she could rebook the room. So not only was she completely unhelpful she sought to profit from the strike. She couldn't think of any other options available to us despite being a stones throw from the port. Luckily others were more helpful and told us the Scopelitis local ferry would run to Naxos. We are grateful to them. The attitude of the owner felt sadly lacking in any care and she seemed indifferent once she'd had her money. Despite the steps up to the fourth floor being hard work it did enable us to have a view of the sea. Floors one and two would only show a road and scrubland. Nice clean room but a bit noisy, being on the first floor there was the constant sound of traffic. We really enjoyed staying on this property. The studio was very comfortable, tidy and clean. We enjoyed the bed (the mattress was extraordinary!) and the great shower facilities. I liked having my private yard to enjoy a glass of wine before going to bed. Very friendly owners as well! Gonna visit again.